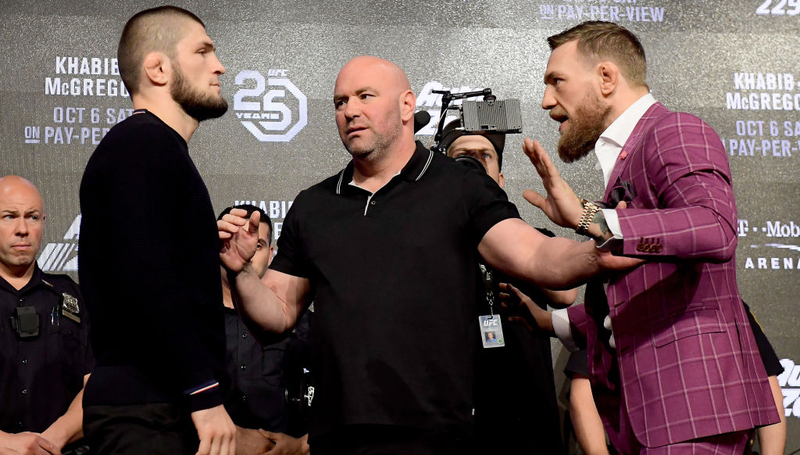 Conor McGregor and Khabib Nurmagomedov will clash for the lightweight title in the headline slot of UFC 229 in what is expected to be the biggest fight in the promotion’s history. 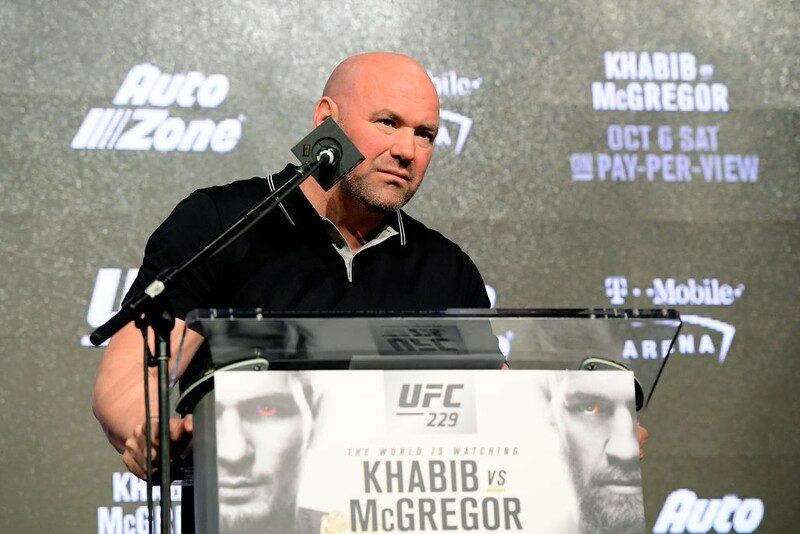 We’ve enlisted the expertise of UFC gym head coaches Kryzsztof Soszynski and Fabiano Silva alongside Sport360 writers Alex Rea and Dan Owen to best gain an understanding of what how the main event may play out. 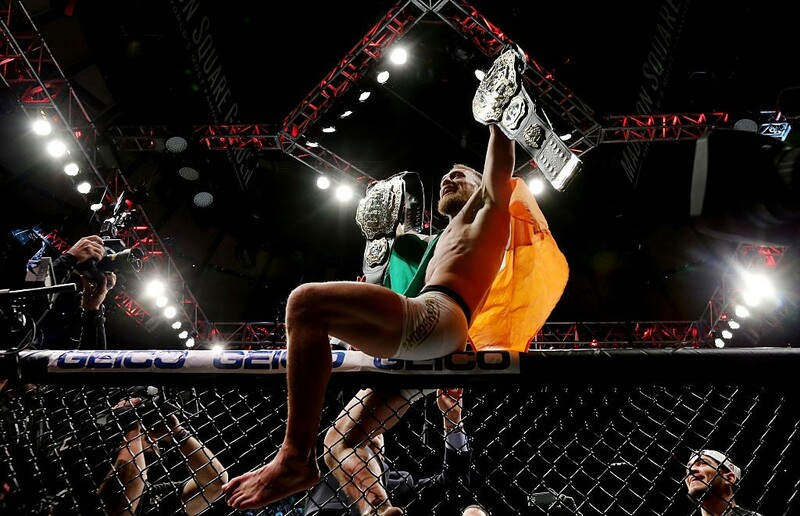 WILL RING RUST BE AN ISSUE FOR CONOR McGREGOR? AR: Dominick Cruz once said there is no such thing as ring rust and it’s hard to disagree with him. It’s a sign of weakness and few possess McGregor’s mental fortitude. DO: Being out of the Octagon for so long would impact most, but McGregor is such a consummate pro he is unlikely to suffer and he looks in incredible shape. KS: Yes a little bit but he’s an entertainer so he’ll be ready for the fight, he might gas out anyway as that’s what we’re used to seeing with McGregor. FS: For sure, but he’s got a big team and his mentality is always on point. What’s more likely to trouble him is Khabib’s intensity because he is absolutely relentless. IS KHABIB AN UNDERRATED STRIKER? AR: Underrated, probably not but that doesn’t mean he’s not awkward. 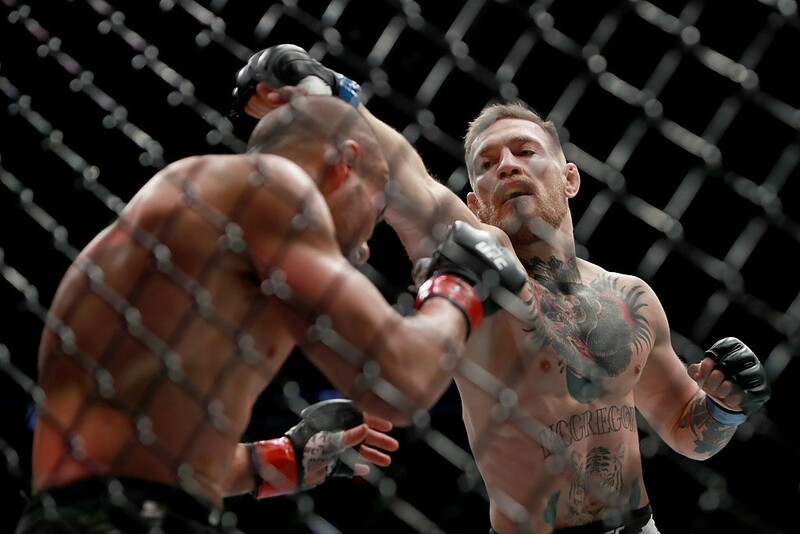 His entries look practically amateur yet therein lies a potential issue for McGregor. 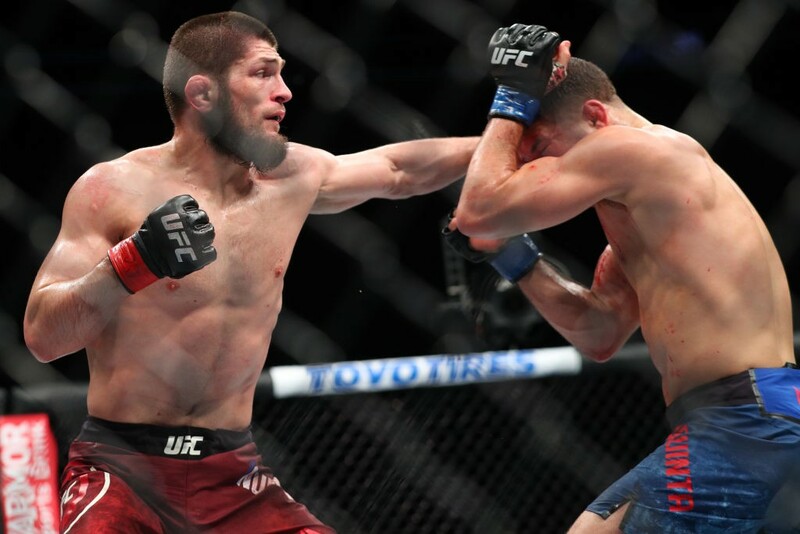 DO: Khabib is solid with his hands as eight stoppage victories suggest, admittedly the bulk of these through ground and pound, but his ability to stifle strikers on the feet is what has been even more impressive than his own attacking ability. KS: I don’t think so, it’s not his game and never has been. The way he moves is all wrestling-related. He certainly won’t be looking for a knockout on the feet put it that way. FS: Well, Khabib needs to pretend he’s going to go toe-to-toe on the feet with Conor, he’d be stupid to actually try and match him for striking when he’s such an elite grappler. IS THIS THE MOST IMPORTANT FIGHT IN UFC HISTORY? AR: Undoubtedly. It’s been a barren two years without McGregor in the Octagon and without Ronda Rousey, MMA needs the Irishman to stick around. DO: No. That honour still goes to Forrest Griffin and Stephan Bonnar in the The Ultimate Fighter season one finale opening the sport up to a mass audience. KS: It’s not the biggest card but yes it’s the biggest fight ever. They hate each other and also Jon Jones is coming back who can be the next star of the UFC. FS: I don’t think it’s the biggest fight in the sport’s history but they have done a great job in hugely hyping up the bout. It’s the biggest fight of the year for sure. In history? Maybe not. IF YOU WERE IN THEIR CORNERS, WHAT WOULD YOU BE SAYING? AR: For McGregor; trust his superior speed and be efficient. If he goes into this fight thinking he can smack Khabib out in one, he’ll tire very quickly. DO: For Khabib; Controlled aggression is key. He needs to rush McGregor but not to an extent where he dives in recklessly – we all remember what happened to Jose Aldo. 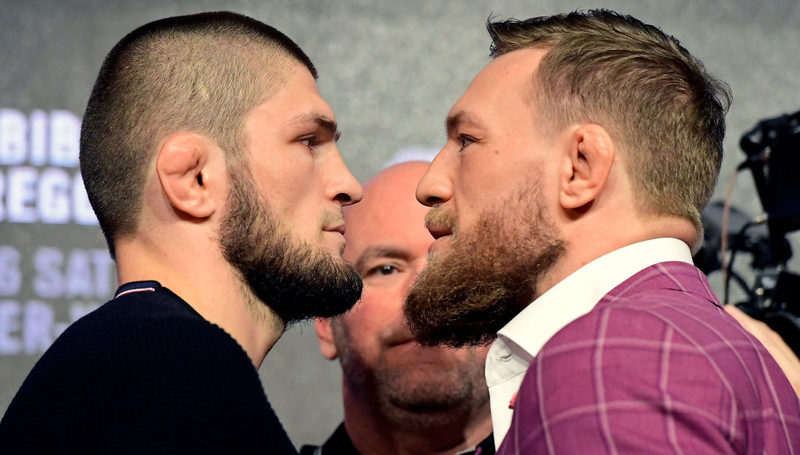 KS: For McGregor; keep your distance and look for shots right down the middle, use your uppercuts and hooks as Khabib comes in to finish him off. 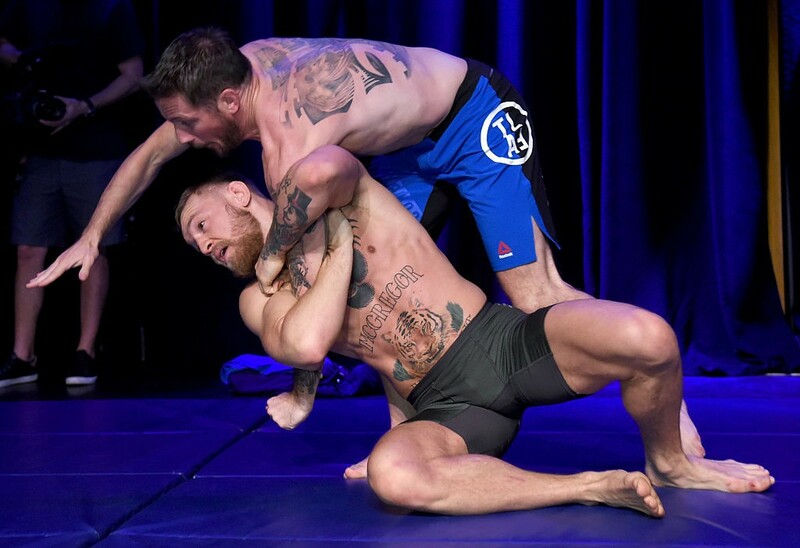 FS: For Khabib; move your head a lot and step outside his leading leg all the time because they mirror each other so he’s got to move away from the power hand. UFC GYM is on a mission to build the biggest Jiu-Jitsu community in the world and is rolling out a new training programme at its gyms in Dubai, with further launches expected in Kuwait and Lebanon. Jiu-Jitsu is a martial arts form of self-defence, which is grounded on the principle of using technique, leverage and skill in an efficient and effective way to control your opponent. Mastering the art is particularly effective for smaller and weaker individuals who will be able to defend themselves against a bigger, stronger, heavier person through the utilisation of proper technique and leverage. Also present at the Business Bay launch was Ghazi Sebil Almadani, Acting Director of Sports Events Department at Dubai Sports Council and Hamad Al Sayer, CEO, UFC GYM Middle East and Senior Management of UFC GYM Middle East, to announce the gym is now one of three private gyms in the UAE authorised by the UAE Jiu-Jitsu Federation to compete under the UFC GYM banner in local competitions. The facility also announced that they will be selecting five underprivileged children aged between seven and nine years old from Oman, Egypt, Bahrain and the UAE to participate in the youth Jiu-Jitsu program and help further develop their physical and social skills.